Engage with clients using the Vivano Duo Pen w/ Stylus. This popular pen features a "touch" stylus at the top of the cap. It also has a push activated bright white LED light, and three button cell sleeved batteries are included. 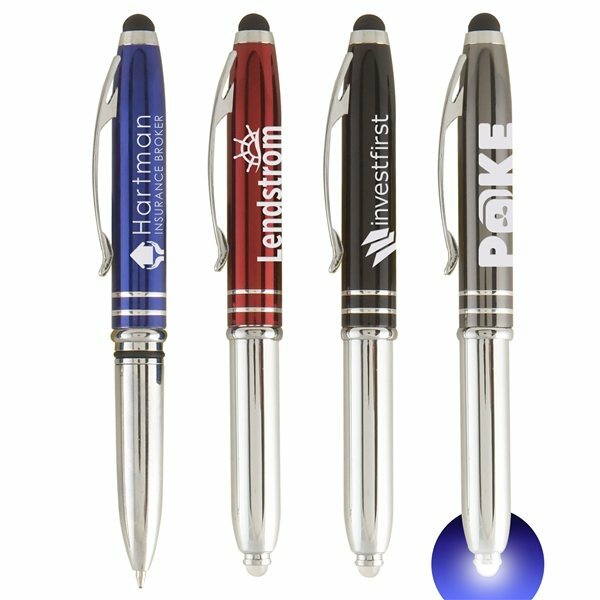 Customize it with your company name, logo and marketing message using LaserMax (R), our special Laser Engraving process that yields the largest standard imprint area in the market. 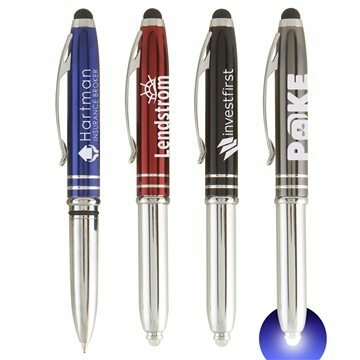 Add this medium ballpoint pen to your advertising campaign to revive it for the next wave of your promotions! CA Prop 65 Compliant and FDA Approved.